6 Amazing Urban Fantasy Novels For $0.99! Looking for something new to read? 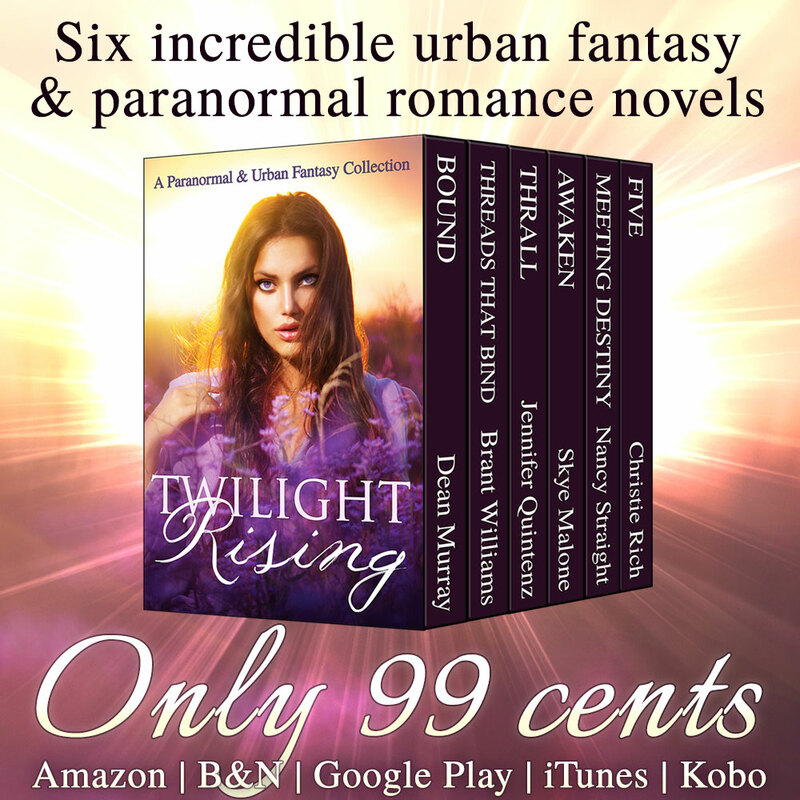 If so, you might want to check out this bundle of 6 paranormal / urban fantasy novels on sale for a limited time for just $0.99! This is a great way to sample full length novels from some new authors you may not have read before, all for a buck. So pick it up if it sounds like something you’d be interested in. I had a great time working with these authors to put this bundle together – they are all awesome, creative, and generous people. If you want to find out more about the bundle, or about the authors, click here. Have you read any of these books? If so, I’d love to hear your thoughts! My friend, Sascha Rice (writer, filmmaker, and teacher extraordinaire), has been running some awesome writing workshops for the last several years, and she’s gearing up for the summer workshops. Swimming, movies, bare-footing…get random, go crazy, chill out. And, of course, write about it. With on-your-feet theater games and fun writing exercises we build language skills, develop point of view, and uncover writing fluidity. We encourage taking risks, being messy, day dreaming, and being playful. Dive into creativity with swimming, movies, and popsicles! Whether you love writing or hate writing, in our workshops, you’ll catch the writing bug. For friends and fans, receive a 20% discount good through May 31st. At check out, enter code: EARLYBIRD. Sascha Rice is an Emmy nominated filmmaker, public speaker, teacher, consultant, and granddaughter of former California Governor Pat Brown. Sascha’s documentary California State of Mind was broadcast on public television, screened internationally, and garnered a Grand Jury Prize for Cinematic Vision. Her celebrated feature romantic comedy Mango Kiss enjoyed national and international broadcast, screened internationally at over 80 venues, and received numerous honors. Ms. Rice is the founder of W.O.W. Writing International, which offers writing workshops, consulting, and mentoring for writers of all ages. Sascha volunteers as the program director and a mentor for the Young Writers Workshop at Ivanhoe Elementary, a Los Angeles public school. Additionally Ms. Rice is President of Fire of Life Films and she serves on the Board of Advisors of the Pat Brown Institute (a non-partisan public policy Institute based at Cal State LA.) Sascha has appeared on television, radio programs, and has been published online. She studied at the American Film Institute and received a Bachelor of Arts from Hampshire College. So, this seems to be happening more and more often these days–I sit down to write a post only to discover the lovely and talented Kam Miller has beaten me to the punch AND done a bang up job to boot. Quick & dirty version: Geek & Sundry is hosting a 48-hour interactive video game marathon to raise money for lupus research today and tomorrow! I’ll be joining the fray for a few hours starting at 11 AM tomorrow, but there are all sorts of amazing folks involved. Check it out, have some fun, and support a great cause! I first stumbled upon Ursula K. Le Guin’s Earthsea Trilogy in the library at my middle school. That library was both my refuge from reality and a launchpad into new worlds. We had a decent-sized collection, but there were a few tall metal carousels that housed the sci-fi and fantasy books, and these were my first stop every time I walked into that room. They introduced me to some of the authors I still aspire to write like today. Congratulations on the recognition, and thank you for the stories, Ms. Le Guin. 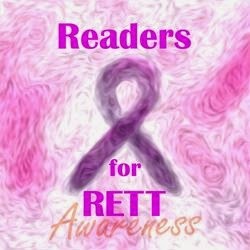 As previously mentioned, October is RETT Awareness Month, and author Rae Z. Ryans and AimeeKay from AimeeKay’s Reviews are co-hosting an event called Readers for Retts Awareness to raise awareness about Rett’s Syndrome and give people a chance to meet some of the girls suffering from this disease. I’m pleased to help spread the word, and urge you guys to check out the event to learn more about Rett’s Syndrome and for a chance to win some great prizes. So who is ready for the Readers for Retts Awareness Event this Friday?!?!?! I want to say thank you to all the wonderful bloggers and writers who have offered their services and sponsorships to the girls. You guys are awesome!!! I also want to say a special thank you to all the Rett’s girls and their families who where willing to share their stories with everyone to help get the word out there about Retts Syndrome. Who’s going to be there?!?! If you haven’t already been invited, well consider this your invitation!!! And don’t wait for Friday! We already have some pre-event contests going on. So be sure to click on over and join the event and get a chance at some of the amazing prizes that are already being offered!!! The one prize is still a secret, however….I WAS able to get a pic of one of the prizes, and I get to share it with YOU!! The person who gets the most people saying that they were referred by them gets this awesome Rett’s Awareness Key-chain handmade by co-host and author extraordinaire Rae Z. Ryans. If you missed the link to the event at the top of the page, click here to get taken to the Readers for Retts Awareness Event! Can’t wait to see you there! We’ve got some exciting news coming up, and we don’t want you to miss it. If you haven’t already done so, please consider signing up for our newsletter to get the latest delivered directly to your inbox. Newsletters only come out when there’s something to report, so you should only be getting emails every few months.